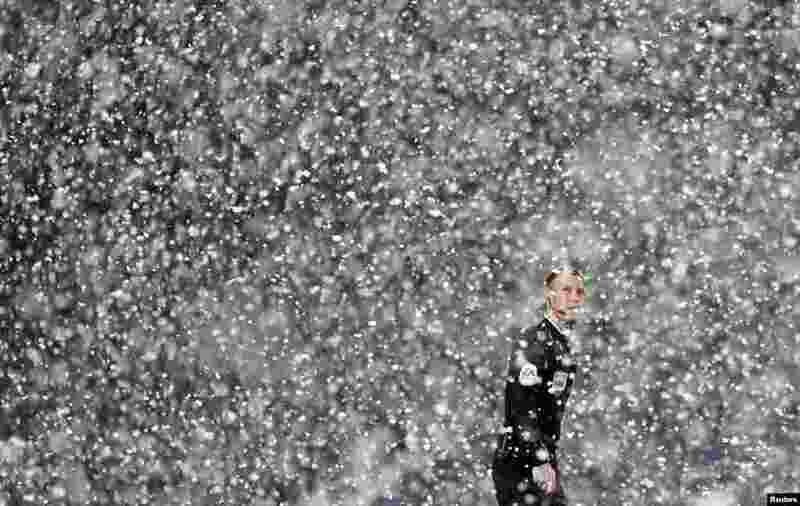 ١ Referee Mark Clattenburg stands in the snow during the English Premier League soccer match between Manchester City and West Bromwich Albion at The Hawthorns in West Bromwich, central England. 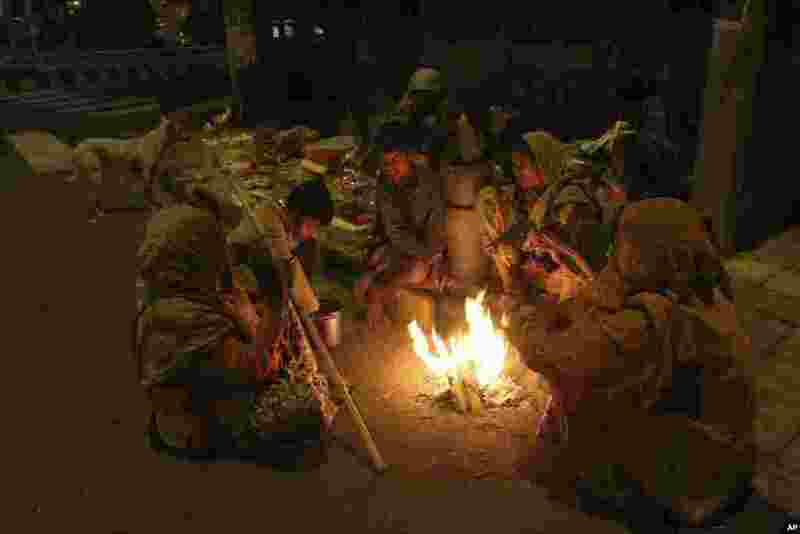 ٢ An Indian family living on a roadside keeps warm around a bonfire in Ahmedabad, India. 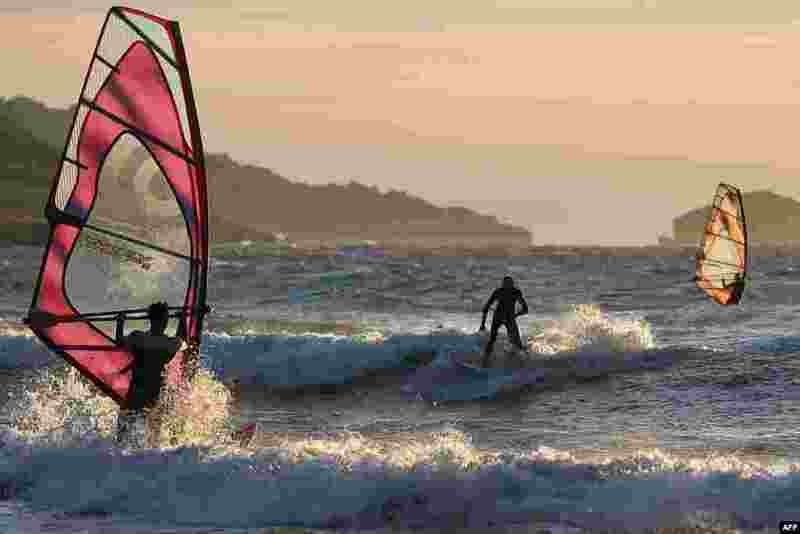 ٣ Surfers and windsurfers ride the waves of the Mediterranean Sea in Marseille. 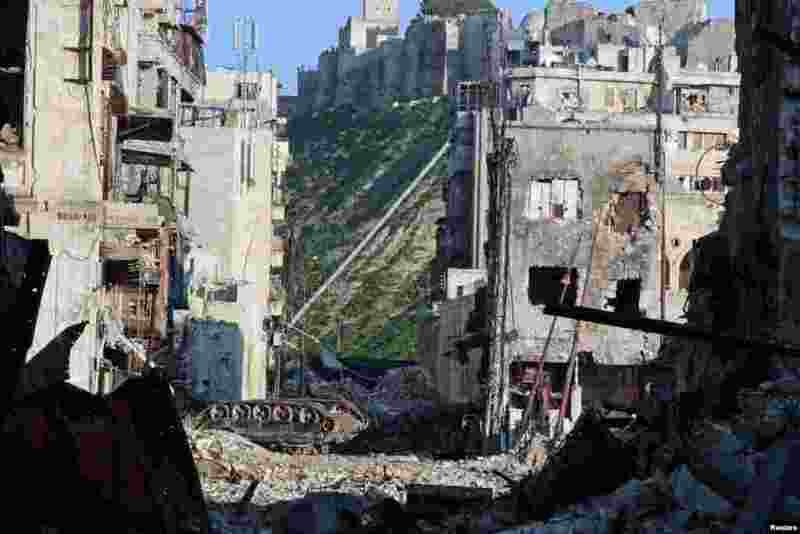 ٤ An overturned tank is seen in a damaged Khan Wazir street, which faces Aleppo's historic citadel controlled by forces loyal to Syria's President Bashar al-Assad, in Old Aleppo, Syria.